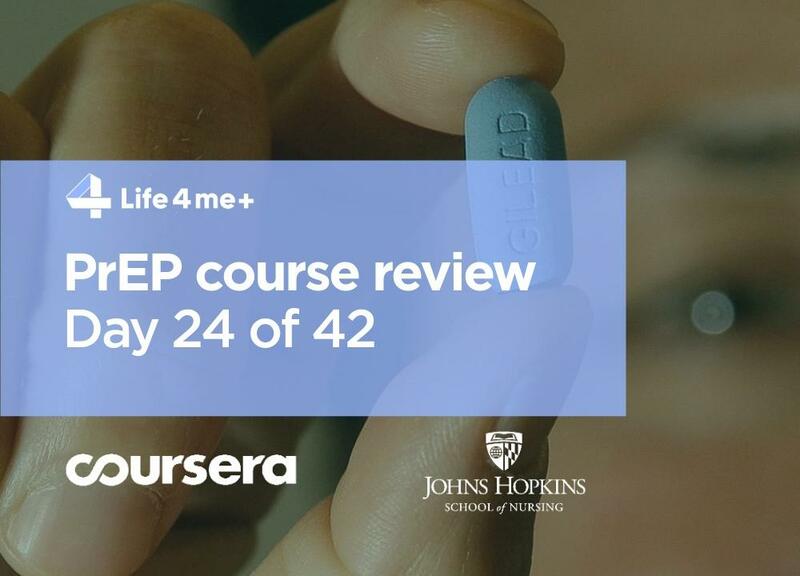 HIV Pre-Exposure Prophylaxis (PrEP) Online Course at Coursera Review. Day 24 of 42. The model of the maximum nurse-led PrEP coverage helps to reduce costs. Familiar to us director of nursing at Magnet over at Strut from the AIDS Foundation of San Francisco, Pierre-Cedric Crouch, explained how in the Magnet clinic of the project Strut from San Francisco solves this problem. Pierre-Cedric also reveals a conflict of interest. You could recall from the eighth lesson that disclosing a conflict of interest is beneficial for people listening to a scientific or popular science lecture since they get an exact state of science overview in the speaker’s area of competence. The narrative may be biased if the speaker reports on existing or past contracts with pharmaceutical companies. The San Francisco AIDS Foundation, where Dr. Crouch works, does receive funding from the Gilead Sciences pharmaceutical company, but Dr. Crouch does not receive private grants from Gilead. Gilead provides Truvada on the market — the only one approved by the US Food and Drug Administration (FDA) for PrEP. Therefore, the reader of this article understand that the instructor is potentially interested in promoting the drug, but as yet there are no alternatives — PrEP radically reduces a risk of HIV transmission, and the only available drug is Truvada. Strut is a health and wellness centre, opened in January 2015. The project is primarily geared towards gay, bi, trans and queer men. Magnet — a clinic offering sexual health services. The project also includes the Stonewall project, which provides mental health and substance use services, as well as various community engagement programs to help target communities who are disproportionately affected by HIV. Not only nurses do the work in the clinic but volunteers also advise clients after the procedure of blood sampling. Volunteers get involved in the project from the local community after two weeks of training. The project is also a cultural place. In the centre are cultural events, concerts, comedies and exhibitions of paintings and photographs. Also in the centre, you can find a book club, acupuncture and massage. The organisers of the project aimed to create a space free from stigma and help people feel that they are involved in something bigger. You can come to the centre at any time of the day and just chat with interesting people, read books or articles on the Internet. At any time, a visitor to such cultural events can take an HIV test. For those clients who have had a dangerous contact in the recent past, clinic specialists offer a free HIV viral load test — this analysis circumvents the serological window when a person already has a virus in their blood, and inexpensive, rapid tests for the presence of antibodies to HIV show a false negative result. Also in the centre are offered to undergo tests for gonorrhoea, chlamydia and syphilis, and any client can be subject to a vaccination procedure against influenza, hepatitis, whooping cough and meningitis. All procedures and consultations in the clinic are conducted by nurses and nurses who have a valid certificate for working in practising medicine in the state of California. Volunteers help them advise clients. In the event of a complex issue, the average medical staff always has the opportunity to consult a doctor on the telemedicine channel. Over the course of the program, Magnet over Strut was used by more than 1,600 people. Organizers of the program also conduct a permanent analysis of barriers that prevent people from learning about the project. The most common problem is that people turn to regular medical clinics for consultations about HIV prevention and PrEP. 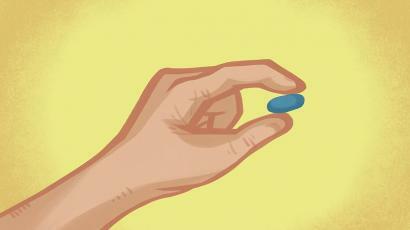 This is good practice, but often it deprives the client of full information about PrEP. The protocol regulates the visit to the Strut clinic, and all procedures must be performed in 90 minutes. The visit is divided into a laboratory stage, an analysis for bacterial sexual infections, a PrEP consultation and a navigation on PrEP co-financing insurance programs. Clients who have concomitant diseases are sent to the clinic, where a doctor can consult them. For those interested, the full protocol for patient care in the Strut clinic can be found in the lecture — just sign up for the PrEParing course on the Coursera platform at https://www.coursera.org/learn/prep. For today, the review is completed, if the information you read in the article seems to be important — please, share it on a social network or send it to friends by email or via Whatsapp, Viber, Telegram or another messenger. Stay with us and stay healthy! Should your clinic offer PrEP? Course review Day 23 of 42. 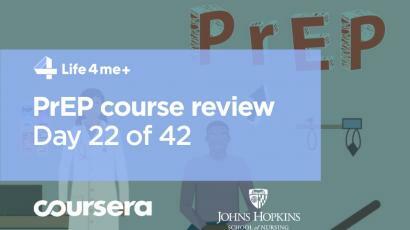 HIV Pre-Exposure Prophylaxis (PrEP) Online Course at Coursera Review. Day 22 of 42. 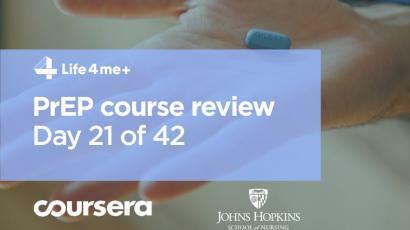 HIV Pre-Exposure Prophylaxis (PrEP) Online Course at Coursera Review. Day 21 of 42.